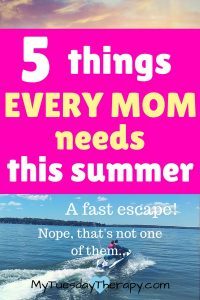 What Every Mom Needs For Stress Free Summer! Summer is here! And so are the kids! No matter whether you are a stay-at-home mom, homeshcooling mom, work-outside-the-home mom summer is different! We want to enjoy the sunshine, relax and sip tea on the front porch. The feeling of freedom! 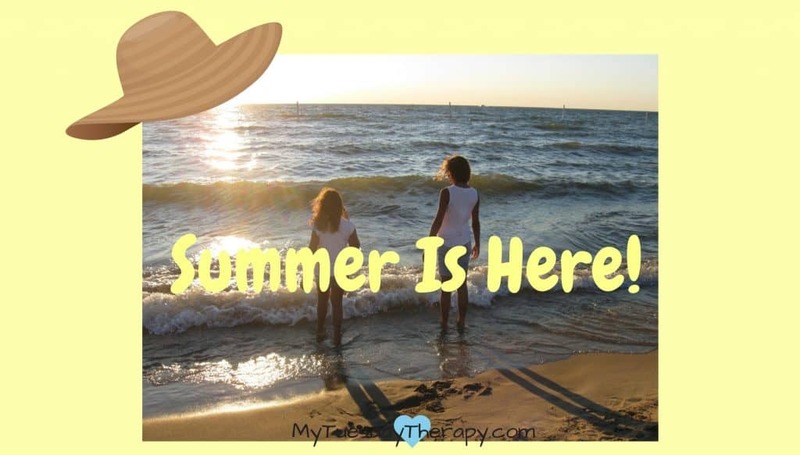 Stress free summer… at least less stressful summer! 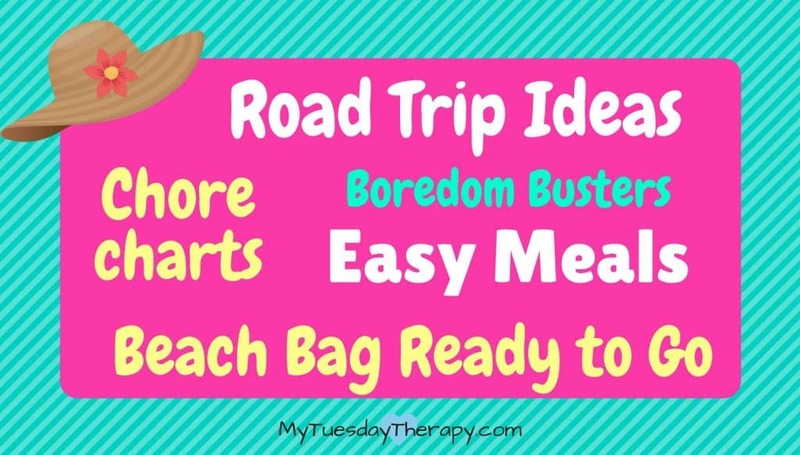 Be prepared this summer for the road trips, beach days, “I’m bored” moments etc. 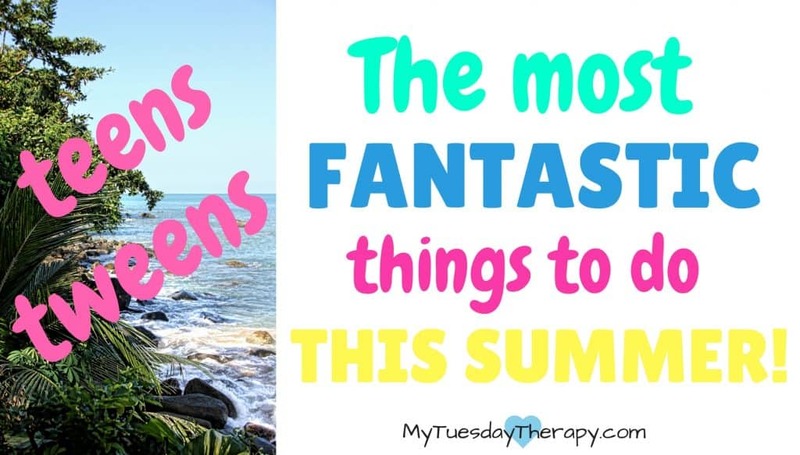 so you can enjoy the amazing summer feeling. You’ll find here ideas for kids of all ages. Summer often means road trips visiting family and friends, driving to exciting vacation spots or exploring sights at surrounding areas. 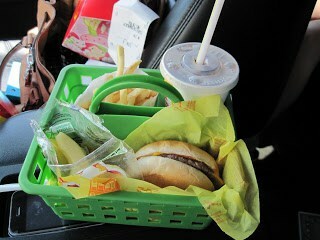 I’ve noticed that kids always get hungry in the car… and restless. 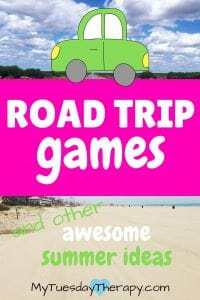 Here are some ideas for making the road trips more fun for everyone. Cut up veggies make such an easy snack for the road trips and you can keep them in small containers in the fridge ready to go. But what would celery, carrots and broccoli be without yummy dips. Fruit is another simple healthy snack to bring along. Some of them are not as easy to keep around cut up and ready to go but it won’t take too long to get them ready. Imagine sitting in a car eating yummy peaches and tasty watermelon and enjoying the scenery. Health Warrior Chia Bars (gluten free). This variety pack has three flavors: coconut, mango and acai berry. Stacy’s Pita Chips A pack of three flavors: plain, parmesan garlic & herb, cinnamon sugar. Know Foods Gluten Free, Low Carb, Protein Cookies, Chocolate Chip. Hail Merry – Merry Bites Macaroons (paleo) Dark Chocolate Flavor. You can also find it in vanilla and chocolate chip cookie dough flavors. This tray comes with foam and plastic tray inserts so it is not flimsy but provides a firm, solid surface for snack or playtime. It has deep pockets on the sides for coloring books and toys. And with the adjustable trap it can be turned into a backpack and carried around. This awesome idea is from Lookie What I Did. You can buy these craft caddies from pretty much any craft store or maybe even a dollar store. Don’t want to deal with ice? No worries, this awesome Igloo Iceless Cooler will keep your food cold without ice! Just plug it into 12V DC and you are ready to go. With an adapter cord you can also plug it into a regular outlet. Trash… not a nice sight. Keep your car neat with this handy garbage bag. This container is waterproof, it can be used as a trash can, toy storage or a cooler! It is also collapsible so you can store it in a small space when not in use. No more lost game pieces. Keep them all secure on these Magnetic Board Games. 12 games individually boxed! 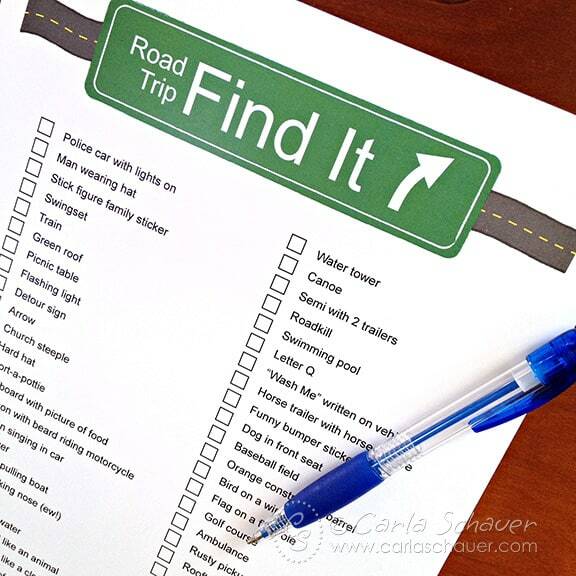 Keep the tweens busy with this free printable Travel Scavenger Hunt from Meander Coast. Make your own with coloring books, little toys and crafts or check out this awesome Travel Activity Bag. It is intended for ages 3 and up. It has 15 cool items to keep your little one busy. The variety is sure to please the traveling child! Instead of or additionally to the big activity bag you could prepare road trip prize bags. All you need is small paper bags and little items to put inside. Make the trip into a road rally! Even though you aren’t competing against another team this would still be a fun family activity. Stop and take pictures at various places. You don’t want to be stopping every few minutes so plan your list carefully :). 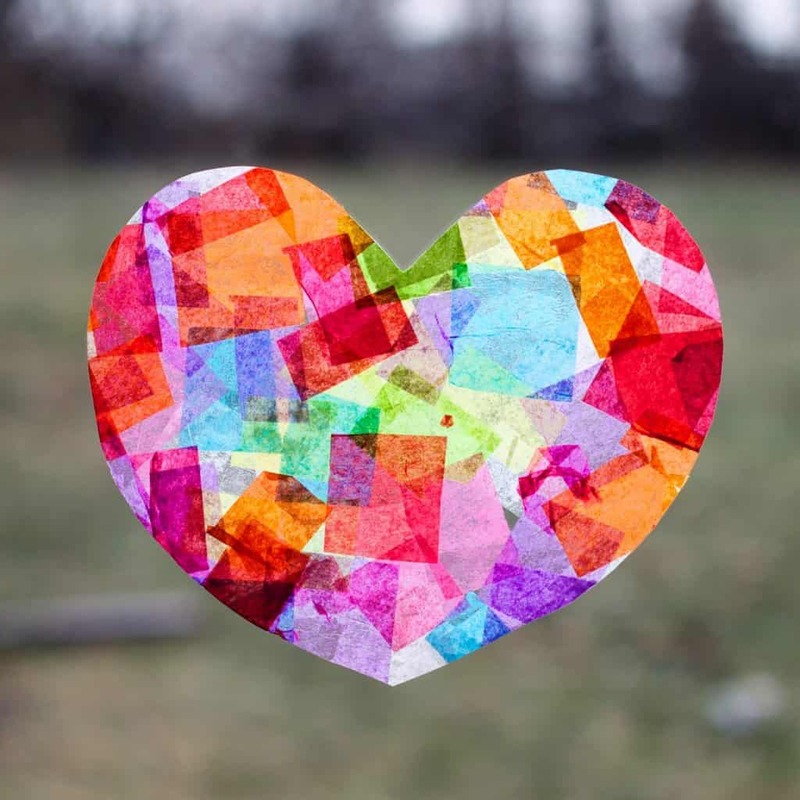 Window markers, washi tape, maps, activity books are on the list that Emily from Emily M Krause put together. 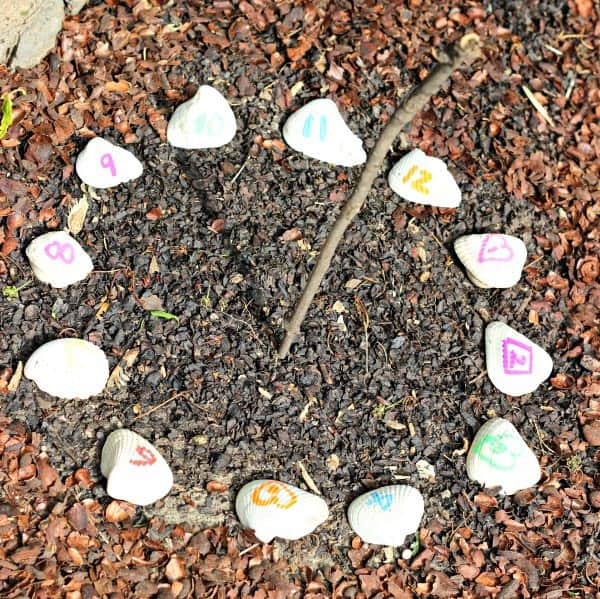 This is an awesome collection of activities for little ones. Summer should mean free time for the mom too. 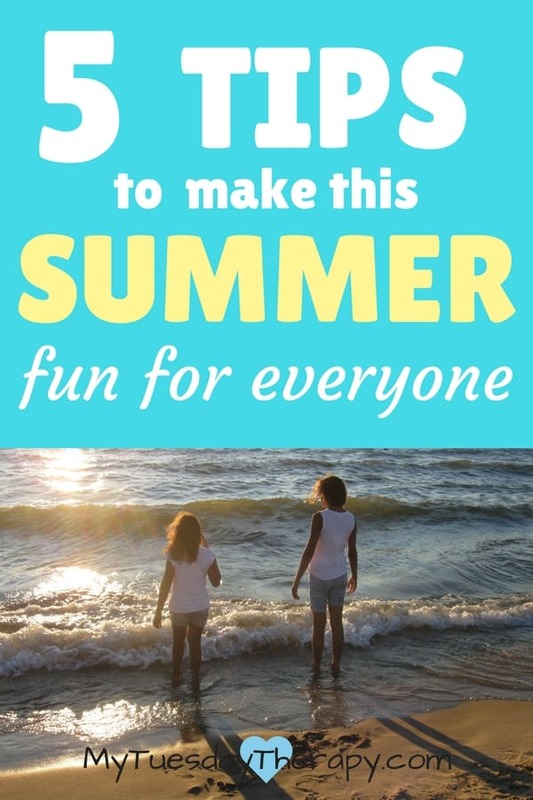 Delegate some extra chores to kids so you all can enjoy the summer! Jot down a list of chores you’d like the kids to do and use these cool ideas to keep track of them! Make it fun with these punch cards from The Chirping Moms. 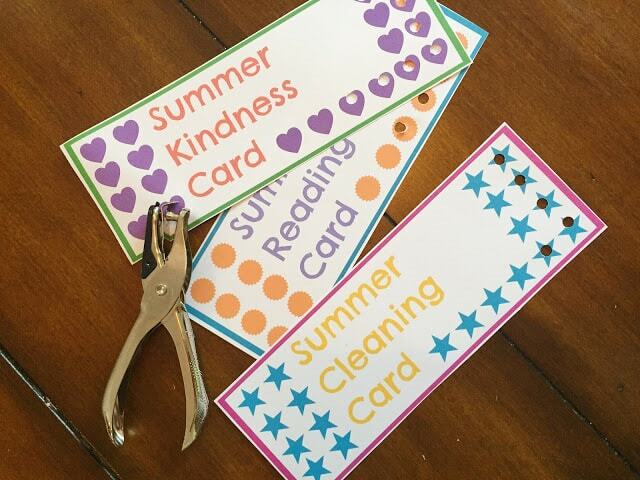 Prepare punch cards for each child for the chores that need to get done that day or week. Maybe there will be a reward at the end of the week. 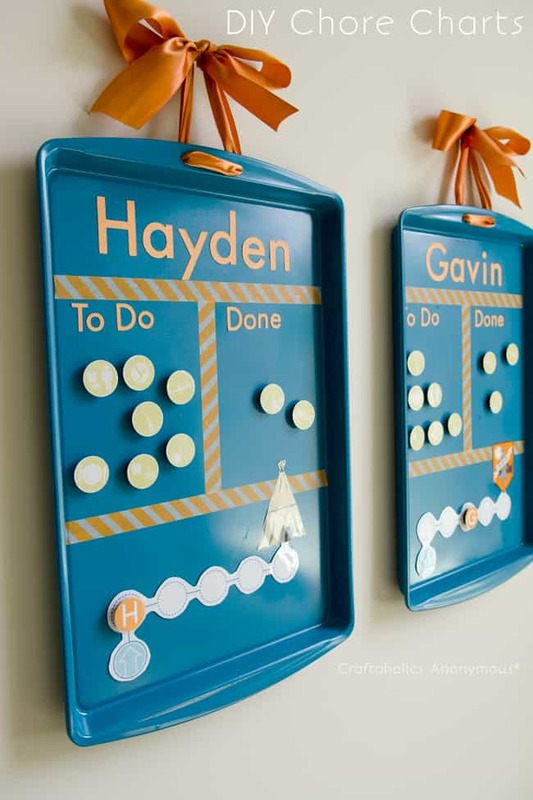 Some of us like the ease of a paper chart some like to make cute things like this Cookie Sheet Chore Chart from Craftaholics Anonymous. 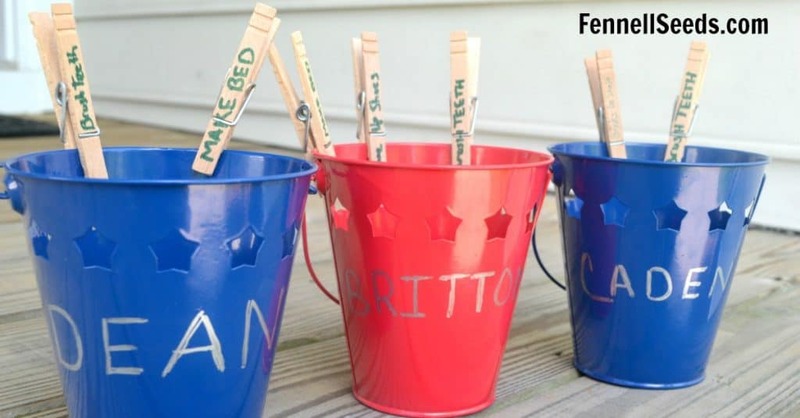 This Chore Bucket idea from Fennell Seeds is perfect for the summer! Fill the bucket! Summer is also a time for easy meals: hotdogs, hamburgers, salads, summer soups… And paper plates. Sometimes you just want easy clean up. Make a plan for some simple quick meals. Prepare and freeze meals ahead so you’ll have something to serve on the days when you have been on the go or just want to have a day off from cooking. 1. 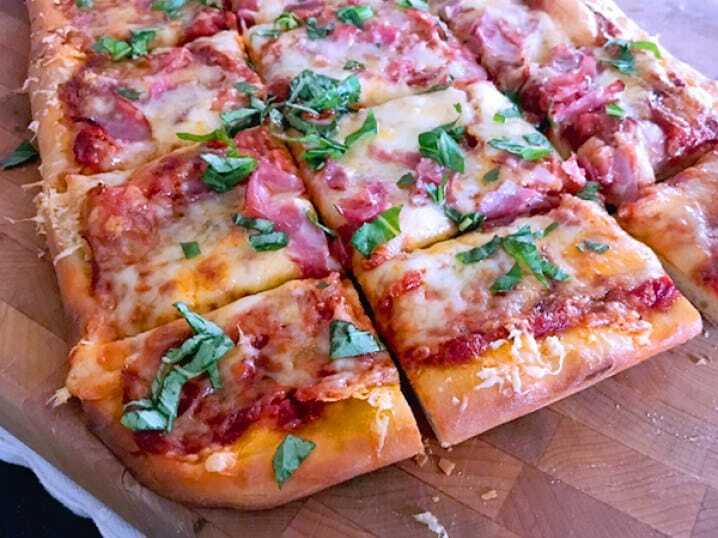 Yummy pizza made with store bought dough. Jenna from Sip Bite Go will also give you a tip on working with store bought dough. This easy and quick Lasagna is so convenient. I really like the one dish recipes. No extra pots and pans to wash! Yay! It is also gluten-free. You can put this meal together in 45 minutes. Tender chicken with delicious potatoes and broccoli. Serve this light chowder to your family this summer. Total cooking time is about an hour but prep won’t take long. Who would not love the convenience of a crock pot. Put the ingredients in the crock pot and enjoy your day in the sunshine. The delicious meal will be waiting when you get back inside! Six Sisters bring to you this amazing 3-ingredient recipe! Sounds like something that kids would love too! 9. Check out also these Gut-Friendly Sodas and Smoothies! Summer is about freedom. No school, no schedule — just freedom. Sometimes kids can get bored but with these ideas you won’t hear any more complaints of having nothing to do. We all could use a little time in the fresh air and sunshine. Keep the kids busy with these ideas. And why not join in and get a little exercise at the same time. Have a shelf or a pretty basket full of books to read. Your kids probably would enjoy reading in a hammock or some comfy lawn chairs. Gather some fun craft items and put them in buckets or drawers and let the kids come up with ideas. 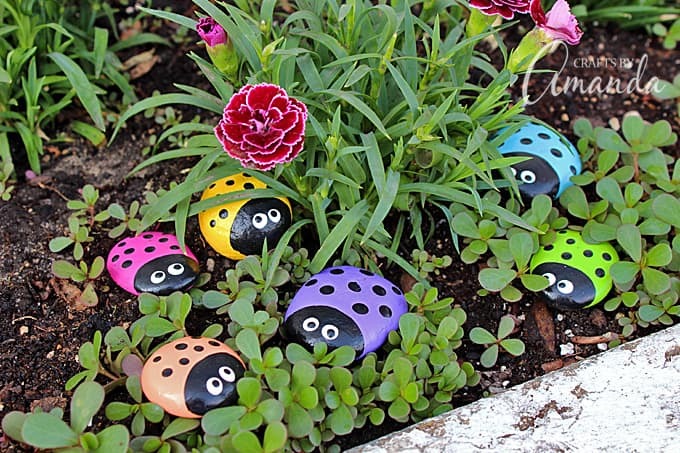 Or check out these awesome ideas and get the craft items ready. Suncatchers are so cool. Let your imagination fly and make them in various shapes! 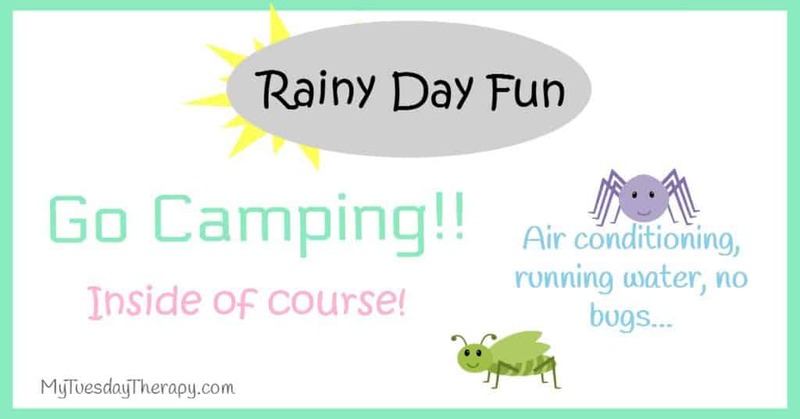 I’m not a fan of bugs and all that stuff that goes along with camping so this inside camping is something I can enjoy. Gather around some friends for this easy fun-filled ice cream social where the focus is on hanging out and doing awesome activities together. Sunshine and beautiful sandy beaches. I’m sure most of us love to be near water. It is so much fun to build sandcastles, swim and play beach games. Me… I just love to sit in a comfortable beach chair under a beach umbrella. Close my eyes and listen to the waves. Beach days are so much fun but it can take all your energy just to get ready. Have everything… at least most of it ready to just grab and go. and to haul all this stuff a beach wagon! This one is light weight with big wheels so it is easy pull on the sand. It holds four beach chairs! Or maybe you just have a bag ready for yourself for those moments when you just hang out with your friends. Don’t forget to take care of yourself. Summer is to be enjoyed. 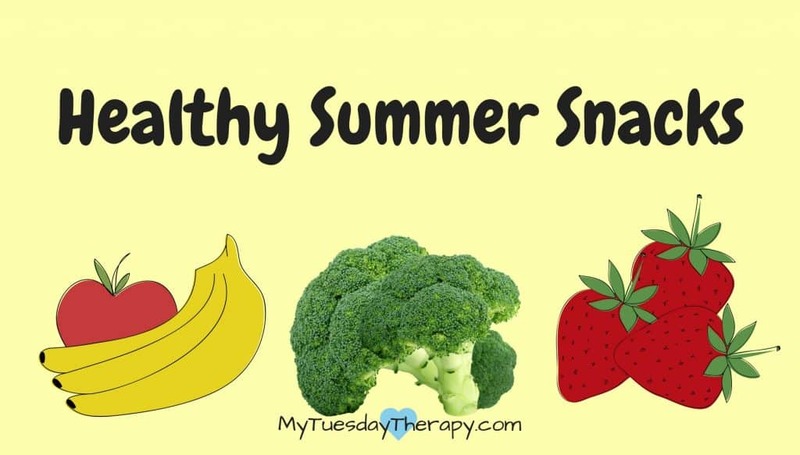 Make a little Summer Kit for yourself. Mom, Are You Always Tired? Have a wonderful summer! If you found this post helpful, would you share it. Thank you!